A business in home staging! Just to explain what it is, home real estate staging is prepping a home for presentation on the real estate market. It involves rearranging furniture, redecorating (within some limits of course), providing expert advice (if one has a business head for it, people expect no less) and giving a home an uncluttered look to create a better and more effective home presentation, and thus a better sale on the real estate market. Staging pays well, when the stager can get the business and the commissions, but there are several points to consider before one makes home staging a career for life. One may say, I love to re-arrange and re-decorate but that desire to express, both economically and aesthetically, is not enough. First, a stager must be in excellent physical condition, or must be willing to hire some fairly husky and well-paid employees to move items. This includes whole sets of furniture such as sofa sets, dining room sets and kitchen island accessory racks. Unless the stager has access to some strong arms (a husband who's not working at the moment, or some fine strong sons), he/she should be prepared to hire or be prepared to lift alone. This is frequently the first big test for a home stager, since husky hard workers aren't readily available, even for pay (during the day, for example, most college students looking for spare cash are in classes). Thus, the home stager really should be in good shape, to do all the pulling, pushing and lifting the job will require. The second point isone must be economical. If a stager is paid a fat commission for staging a single home, it shouldn't all go for a spending spree; the wise business owner will invest it in the fledgling business. The stager needs to consider if he/she can afford, financially or emotionally, to sacrifice big checks for the sake of building the business further, at least for the first few years. 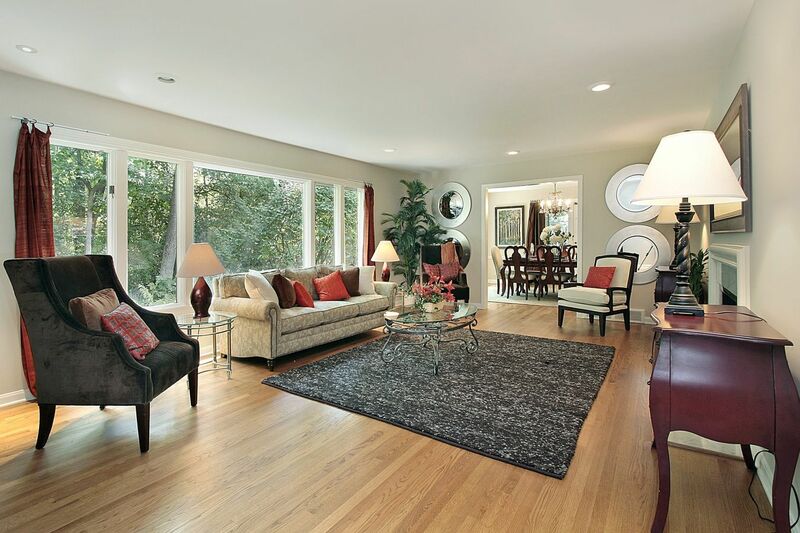 The third point to consider iscan one learn all the ins and outs of home staging? It is seldom enough to have an eye for rearrangement and design, nor is staging merely decorating. Its being aware of the best look, the best flow and the best impression made by certain rooms in certain houses. One may create a Feng Shui elegant flow in one house, but that creation might be completely unserviceable in the next one (and if the reader doesn't know what Feng Shui is, or how to accomplish it easily, he/she should consider another line of work). Fortunately there are training programs nationwide for individuals interested in becoming home stagers and enhancing their home presentation skills. These are costly up to $10K for a single course but definitely worth the time and money invested in them. Thats the fourth point to consider does the stager really have that kind of time and money? Stagers make hefty commissions, or at least percentages of hefty commissions, when well-established. The trick is: can the novice wait until that day, financially or aesthetically? Next, and perhaps most important, does the stager believe in his/her abilities to home stage? One can change hearts and minds with the system that one sells, and a great deal of that system is the stager as a product, and his/her skills as decorator, mover, arranger and architectural expert. A typical call from a realtor is to stage a home on Thursday (that very day) for showing on Saturday if the stager is up to that, thats the biggest test of all. Finally, can one go with the flow of real estate? Its a fast changing market, and is a definitely feast-or-famine industry.